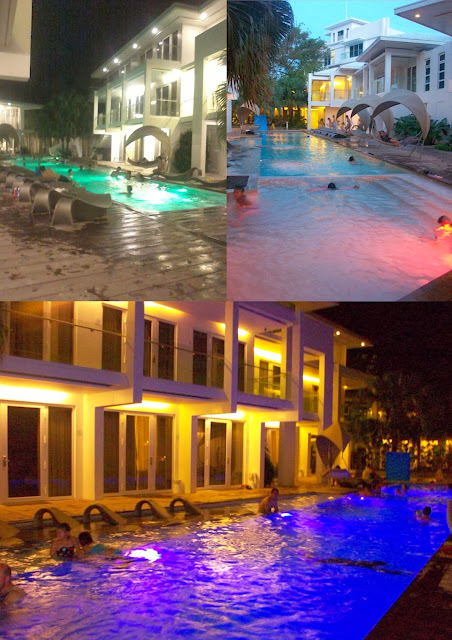 Astoria Boracay is to be found by the beachfront between Stations 1 and 2. It’s near where the old Real Coffee and Tea was, and it’s not something to be missed, because of its posh and mostly and white exterior. We arrived at about after lunch and came thru Astoria’s main entrance along the Boracay-Tambisaan Jetty Port Road. Check-in was a breeze, and while waiting, they served us with their signature welcome drinks, I asked what was it and the receptionist told me that it was Pandan juice. It was yummy, kind of tasted like “gulaman” (jelly) but something else. Btw, the receptionist also asked for a 2,000 pesos security deposit which will be refunded upon check-out. A few more minutes later we were handed the key-card and was escorted to our room at the third floor. The resort’s clean lines and mostly white surroundings are very inviting. Everything in this place looks high-end, clean, chic and modern. The design and architecture of the building itself boasts that feel, even the elevator! My heart skipped a beat while were going up to our room, because I felt a certain excitement and with the thought of assurance that we will be having a great stay at Astoria Boracay. However, when we got to the room, something went wrong with the door’s lock, the key-card won’t work. We ended up always asking for maintenance staff to open/fix the lock mechanism of our door. Sometimes the key-card would work and sometimes it won’t; when it started getting annoying, they were obliged to give us the master key instead. 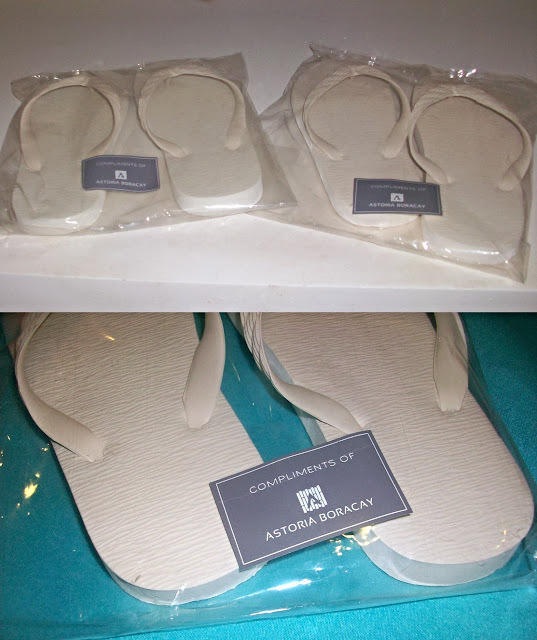 I would want to share about Astoria Boracay’s service before anything else. This is because I agree to the idea that even if a hotel is the best there is in a certain place but the service is poor, one’s stay will not be as remarkable as it should be. Whenever we go out on a trip, I always research on the place where we’ll be staying and I easily get dismayed when I read bad reviews when it comes to the service. I've read a couple of hotel reviews that even if the place is beautiful and well-known, some have poor service. I feel sorry for businesses like those, because even if you’re well-recognized but your staff doesn't love their work and puts on an unpleasant service, your business will suffer and is heading for failure. 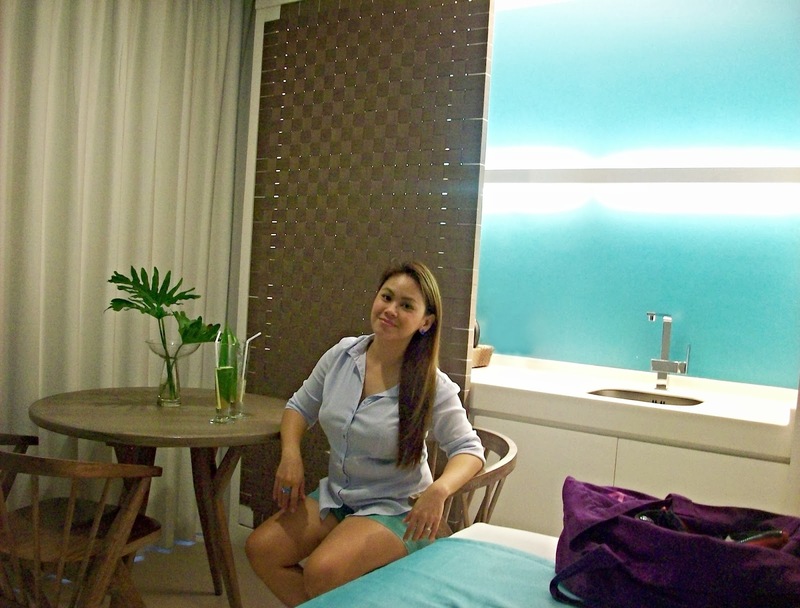 With Astoria Boracay, I never experienced any incompetent service at all. Starting from the point when we got off the trike and bringing down our luggage, there was somebody already there to assist us. The reception staff was polite and effective. When you call for any help or assistance, they’re there outside your hotel room in just a few minutes. When you ask for a beach towel, even if the lifeguard is not around (who’s in charge of that) they’ll assist you without too many questions asked. They will greet you each and every time you see them. They even offer to take your picture if you don’t have a tripod with you. 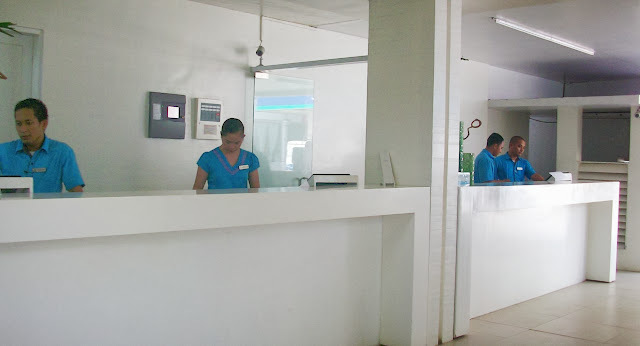 The staff of Astoria Boracay is courteous, pro-active, efficient and always ready to help you out. They don’t allow guests to hang wet clothes anywhere outside the rooms or balconies, the routine was to call the reception and ask a staff to pick up your wet clothes and they will dry them and return them in an hour or two. We had ours picked up one time at around 10pm, the staff told us that he will return in a couple of hours to return them, but that would be around past midnight so I told him to just deliver it the following morning, yet he told me that it’s OK since they have staff that are on the graveyard shift that can bring us back the dried clothes. But I insisted to just bring it tomorrow and first thing in the morning somebody rung us in our room and had the clothes with him with a fresh set of towels to replace the damp ones that we have. How about that? We had no idea what room will be given to us, so we were so amazed that what they gave us was a huge one and it even had 2 double-size beds! We kept joking that we will sleep in each bed separately. I think what they gave us was a deluxe room located in one of the buildings near the reception area and the garden. This hotel room was like destined for us, because its color was my favorite! Teal! 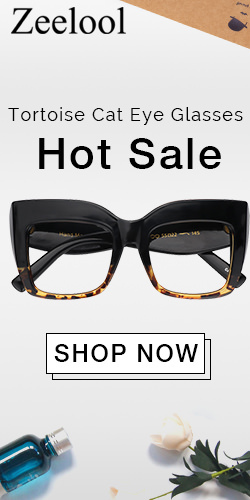 I just fell in love right away! 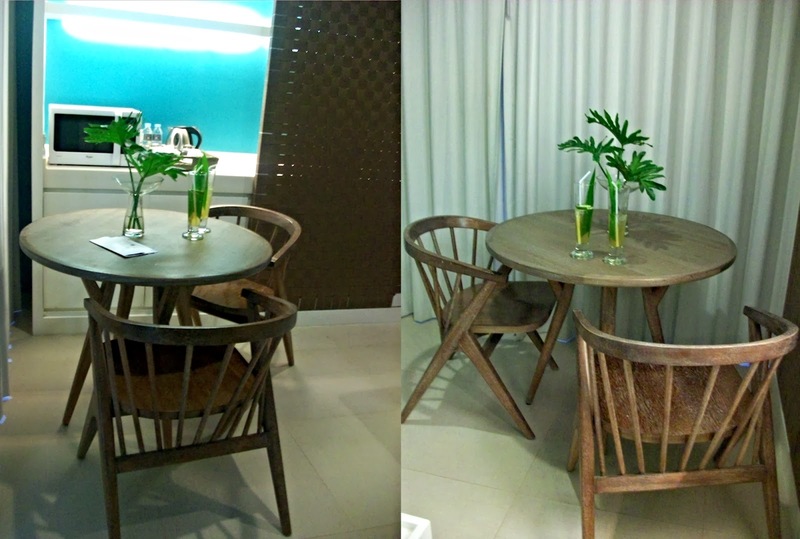 It was a mix of minimalist, chic and beach ambiance, yet obviously modern. The color combo of white, teal and brown would really remind you of the beach and the sea. I just love how comfy the bed was, although I find it too high for a petite woman like me, hehe… The linens are clean, smooth and pristine. And since there are two beds and two sets of pillows, I gathered all the pillows in one bed and I was able to sleep like a baby and just like how I sleep at home, with many pillows! 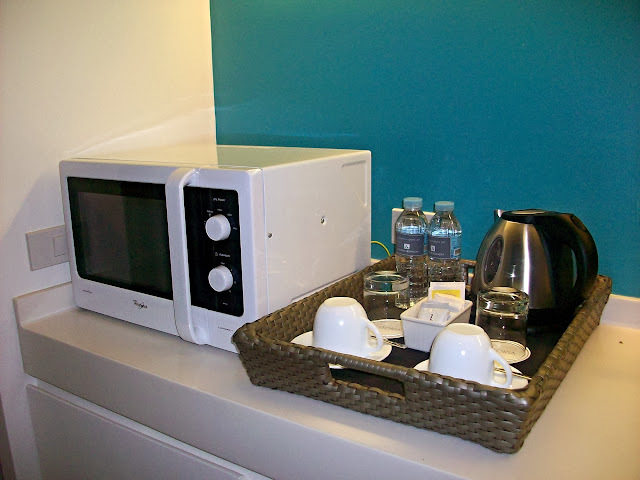 The room amenities included a breakfast nook, coffee-making facility, kitchen sink, mini-ref, eating utensils (stored in one of the cabinets), microwave oven, PABX phone, dresser hair dryer, LCD TV and DVD player. 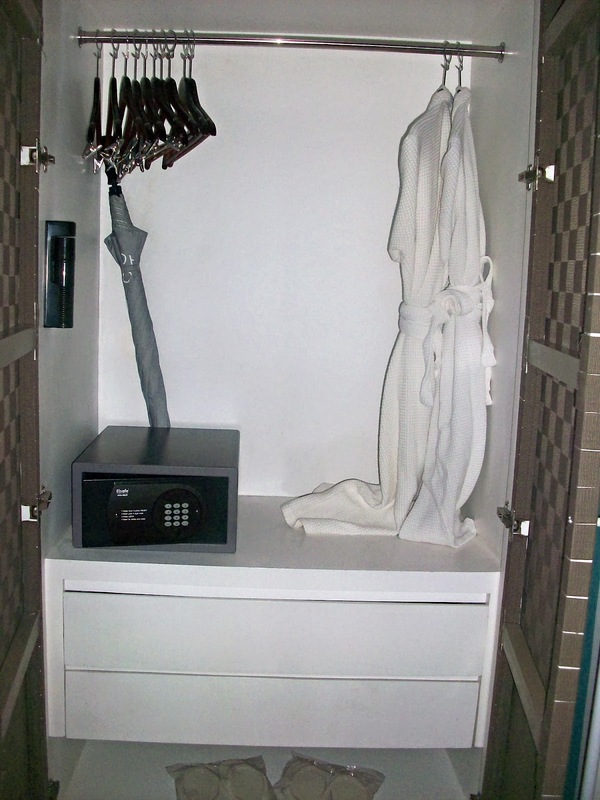 Of course there is a cabinet where you can store your clothes while you’re at the hotel. Inside the cabinet is a safety deposit box, a couple of hangers, complimentary slippers, a flash light, a laundry bag, bath robes and an umbrella to use if in case it rains. The bathroom in our room was very basic and clean. 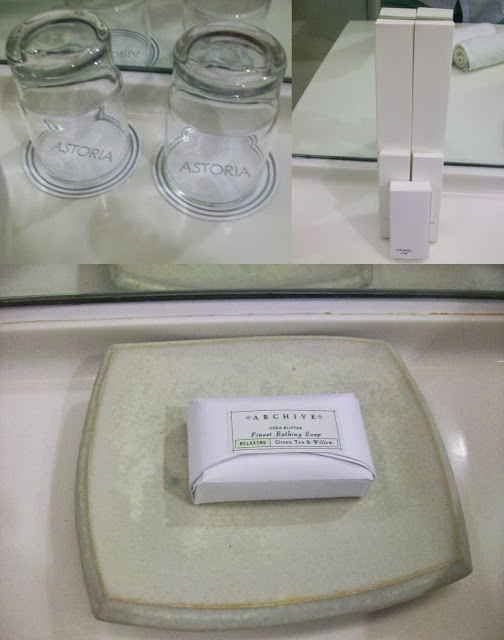 All the basic toiletries that you will need during your stay are offered. They are not even the usual ones you’ll see in other hotels; from the looks of it, theirs is as luxurious as the hotel itself. Though I brought our own toiletries, I used every product, and everything is of good quality. The conditioner did really moisturize my hair and I love the smell of the products, very elegant and fresh. I also love the huge wall mirror inside the bathroom! 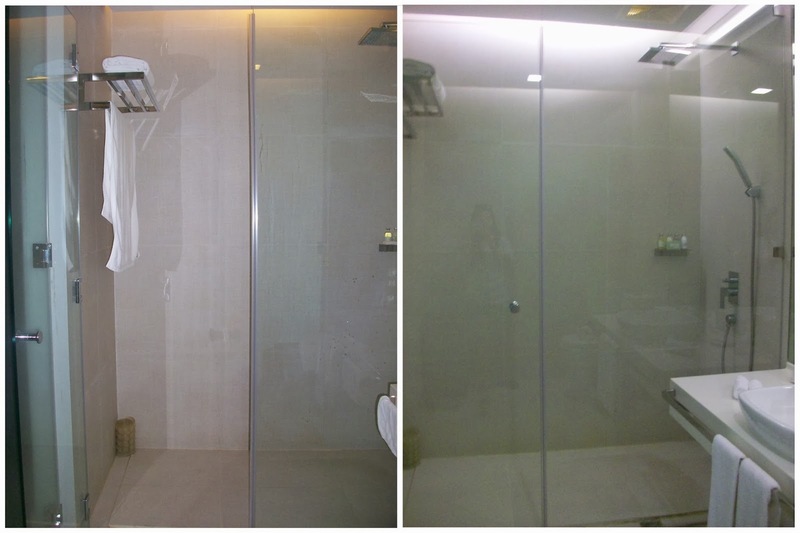 We didn't have a bath tub in our room but I seriously love the rain shower. The CR included a hamper, hot/cold shower, a weighing scale, a bidet, bath towels, a couple of hand towels, a floor towel, toothpastes, toothbrushes and cotton buds. Though the bidet’s water was too strong lol! If we’re not out and lounging at the beach, we stayed most of the time in the garden area; every morning and after eating we would sit in one of these hanging chairs, drink coffee, talk, browse our mobile phones or connect to the resort’s free Wi-Fi to check our social media. Though it’s near the busy reception area, it’s also overlooking the Astoria Boracay’s beautiful pool, thus a very relaxing nook to stay if you just feel like sitting around for a few minutes before going to the beach. The pool, I say and many will agree with me, is the highlight of the hotel. The furniture around the pool seemed futuristic due to their shapes, the hammocks for one, look like pea pods, the beach beds were shaped like leaves, and some are half-submerged in one shallow side of the pool. At night the pool lights changes colors which I find pretty cool and amusing. 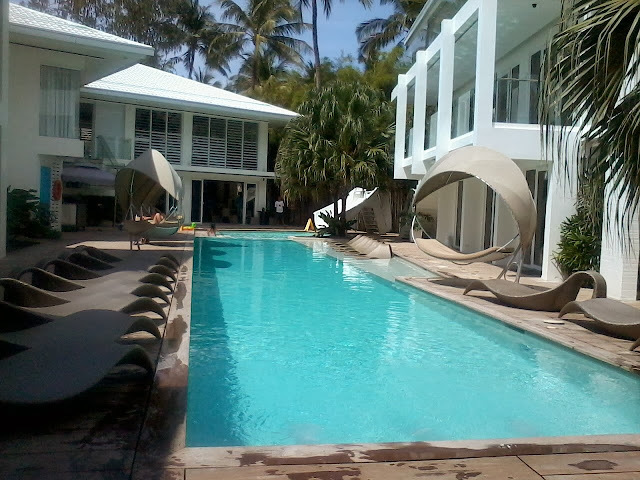 The pool’s water I believe is quite heated, since guests usually swim here at night after they’ve gone from the beach. There were beach beds at the beach front Astoria Boracay, where you can lay around to get some tan or have the umbrellas set up by one of the staff if you just want to lie there while admiring the beauty of the beach and sea or watch the paraws sail or just simply watch people passing by. 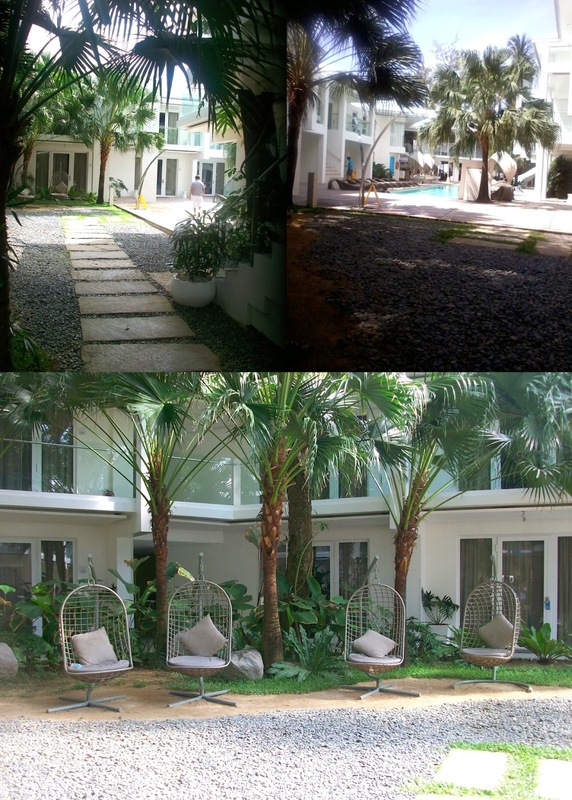 All in all, we did really have an awesome stay in Astoria Boracay! 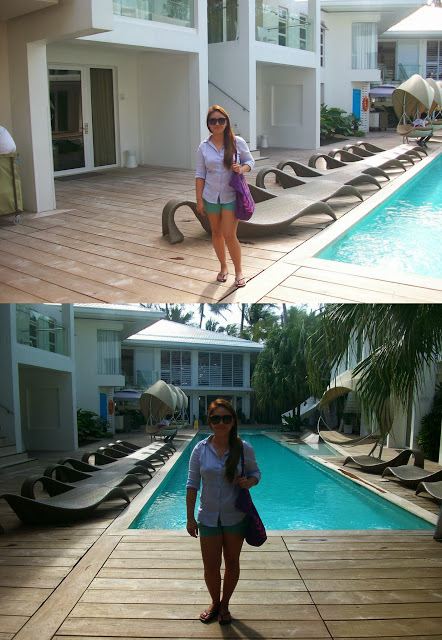 If given the chance to go back to Boracay again and our finances permit it, I pray that we can stay at Astoria Boracay once more. It is truly, by far, the best accommodations that we have experienced since we started travelling. Hello Dear! 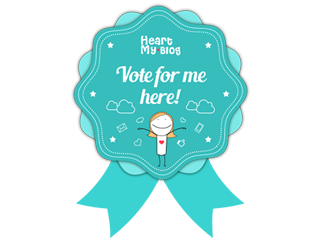 I really love Your blog!!! Great pictures!